WASHINGTON, DC, November 17, 2010 (ENS) – The U.S. Environmental Protection Agency (EPA) has identified a list of 134 chemicals that will be screened for their potential to disrupt the endocrine system. Endocrine disruptors are chemicals that interact with and possibly disrupt the hormones produced or secreted by the human or animal endocrine system, which regulates growth, metabolism and reproduction. “Endocrine disruptors represent a serious health concern for the American people, especially children. Americans today are exposed to more chemicals in our products, our environment and our bodies than ever before, and it is essential that EPA takes every step to gather information and prevent risks,” said EPA Administrator Lisa Jackson. “We are using the best available science to examine a larger list of chemicals and ensure that they are not contaminating the water we drink and exposing adults and children to potential harm,” she said. EPA is already screening an initial group of 67 pesticide chemicals. In October 2009, the agency issued orders to companies requiring endocrine disruptor screening program data for these chemicals. 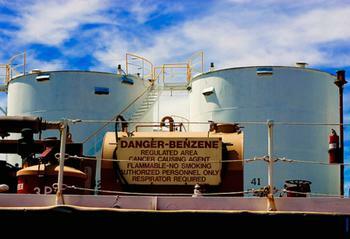 The agency will begin issuing orders requiring data for the second group of 134 chemicals beginning in 2011. The chemicals listed include those used in products such as solvents, gasoline, plastics, personal care products, pesticides, and pharmaceuticals. On the list for testing is benzene, a known carcinogen used as an industrial solvent and in the production of drugs, plastics, synthetic rubber, and dyes. Perchlorate, used in fireworks and rocket fuel, is on the list and so is ethylene glycol, an organic compound widely used as an automotive antifreeze. The list includes chemicals that have been identified as priorities under the Safe Drinking Water Act and may be found in sources of drinking water where a substantial number of people may be exposed, the EPA said today. The pharmaceutical chemicals to be screened include two of the best known and most widely used drugs in the United States – erythromycin and nitroglycerin. Erythromycin is an antibiotic used to treat bronchitis; diphtheria; Legionnaires’ disease; whooping cough; pneumonia; rheumatic fever; and venereal disease; as well as ear, intestine, lung, urinary tract, and skin infections. Nitroglycerin spray and tablets are used to treat episodes of angina, or chest pain, in people who have coronary artery disease, narrowing of the blood vessels that supply blood to the heart. The list also includes pesticide active ingredients that are being evaluated under EPAs registration review program to ensure they meet current scientific and regulatory standards. The data generated from the screens will provide systematic scientific information to help EPA identify whether additional testing is necessary, or whether other steps are necessary to address potential endocrine disrupting chemicals. EPA also announced today draft policies and procedures the agency will follow to order testing, minimize duplicative testing, promote equitable cost-sharing, and to address issues that are unique to chemicals regulated under the Safe Drinking Water Act. After public comment and review, EPA will issue test orders to pesticide registrants and the manufacturers of these chemicals to compel them to generate data to determine whether their chemicals may disrupt the estrogen, androgen and thyroid pathways of the endocrine system.